Create your very own happy place in the wonderful world of Animal Crossing™. Come in and look around—and see why there's no other place quite like it. With New Leaf, Animal Crossing stands right inside the borderline of complete stagnation and defiantly places a single foot just outside into the realm of change. It offers plenty to keep this from feeling like the exact same thing you played four years ago, or eight years ago, or 11 years ago... but only if you're willing to invest a few dozen hours into it. Animal Crossing: New Leaf is an expected sequel that doesn't stray far from its predecessors. Still, the happiness of your citizens is so intoxicating that it's easy to be sucked into this portable adventure as you live out your dreams as an all-powerful mayor. Animal Crossing: New Leaf finally evolves and revitalizes the formula, expands on the way you interact with your town in meaningful ways, and more importantly returns the series to portable hardware. There are countless elements I haven't touched on here, but maybe in playing the game for yourself, you'll access them before I do. 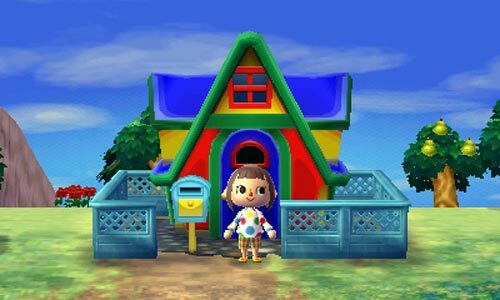 Yes, it can be boiled down to "just more Animal Crossing," but the introduction of your mayoral duties, a few housing and furniture enhancements and (let's be honest here) the ability to buy your character pants is enough to make Animal Crossing: New Leaf worth playing, even for series veterans. Oh, and as for Beardo, he has informed me that he'll be moving away on the sixth of the month. Good riddance. Animal Crossing: New Leaf is doubtless the best yet of its kind, but its new additions don't stray too far from the formula. Even spaced as far apart as the games are -- the last one was City Folk in 2008 -- New Leaf felt over-familiar to me. It's an adorable game that has been polished and improved through the years. It's a good little game, but it's nowhere near as special as it used to be, and those hoping for more flexibility and interaction from their new political careers will feel let down by what is, ostensibly, just more goalpost shifting and further excuses to get you to shake bananas off trees. Animal Crossing: New Leaf gives players more ways to customize that village and interact with its many inhabitants than ever before. It's the pinnacle of the series, inviting people of all kinds to take a load off and spend a little time diving for scallops, re-upholstering furniture, installing a new fountain near the town square, and joining up with their friends for a bug-catching contest. Pick up this game, and be prepared to spend far more time with it than you anticipated. Animal Crossing: New Leaf is one of the most relaxing gaming experiences to be had on the 3DS at this time. It’s built for short gaming sessions on the go, and being the mayor of your own town is pretty awesome. It is nice to play a game that focuses on relaxing tasks rather then fighting a terrible creature in order to save the world. It's enough to satisfy both longtime fans and newcomers to Nintendo's charming franchise. 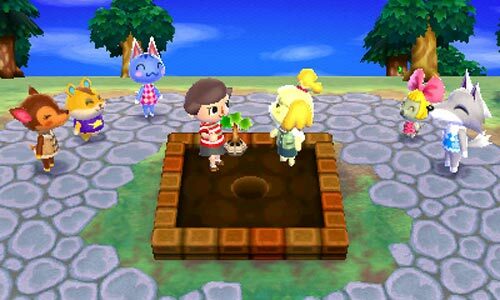 New Leaf doesn't necessarily play like other games, but that's why we appreciate it. Whereas other titles assault the senses with over-the-top action sequences, this one provides a welcome escape. Cherish it. New Leaf is designed to be played in small chunks, every day, over a very long period of time, and stresses this fact by slowly unwinding events in real-time. Yet it is apparent from only a comparably short time — as opposed to months and years — spent with the game that Nintendo has done a great deal to address the complaints of its Wii predecessor, and provided plenty of exciting new features and buildings to enjoy. New Leaf is a truly magical game, one that you can easily expect to invest hundreds of hours in over the course of years. Anyone with access to a 3DS should absolutely give this game a try - just be prepared to kiss your “real” life goodbye. If you're looking for headshots, gore, jarhead military lingo, intense difficulty, or anything else designed to keep your pulse racing for the duration of a video game, then this is absolutely not going to satisfy you. But if you enjoy a gentler pace and you don't mind making your own fun, then you should buy Animal Crossing: New Leaf immediately. Think of it as less a video game, more a life choice. 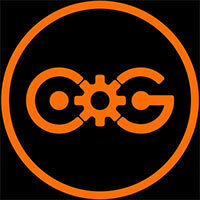 It's a twee game, but don't mistake it for a childish one. 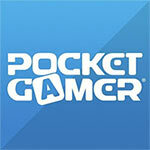 It's an addictive, warm-hearted title that deserves to be on your 3DS. (And given how often you'll be playing if you do get the addiction, it's the first title we'd heartily recommend going digital for). Cinco palabras para definirlo: complejo, completo, adictivo, exigente y conectado. Uno de los recomendados del verano tanto si vienes de anteriores entregas como si eres nuevo. 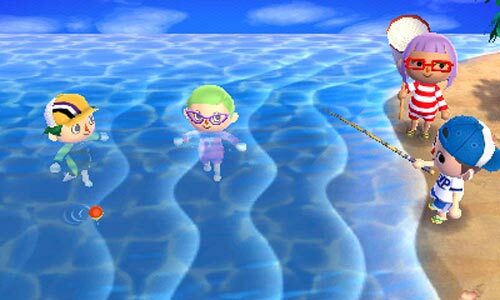 Tan similar y a la vez tan distinto a lo que estábamos acostumbrados, Animal Crossing: New Leaf supone el ejemplo perfecto de lo que debería ser una buena secuela. Es más grande, variado y completo que sus antecesores; nos permite personalizar nuestra casa y sus alrededores como nunca antes lo habíamos hecho, y para colmo tiene un potente modo multijugador. Adictivo como pocos e increíblemente divertido, aquí hay juego para años. Immerhin kann man sich inzwischen mit Spielern aus aller Welt einfacher treffen, spielerisch vergnügen oder sich über Haus- und Modedesigns austauschen. Die Faszination ist zwar nicht mehr so groß wie noch beim GameCube-Debüt vor neun Jahren, aber auch die tierische 3DS-Nachbarschaft wächst einem unweigerlich ans Herz. 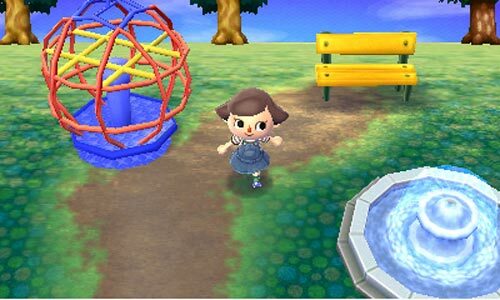 Bien réalisé, parfaitement optimisé pour la 3DS, Animal Crossing : New Leaf est un véritable régal pour les amateurs de simulations de vie. Entre ses nombreuses interactions sociales, ses milliers d'objets à collectionner et ses possibilités de customisation sans précédent, cet opus est clairement à ce jour le plus réussi de la série. Bien sûr, comme pour tous les Animal Crossing, l’expérience s’arrête là où l’ennui commence. A force de tourner en rond, le jeu devient un peu redondant. Mais évidemment, si vous êtes avide de simulation de vie et de personnalisation à perte de vue, on ne saurait trop vous conseiller faire le grand saut dans ce village virtuel où les animaux vous accueilleront les bras ouverts. 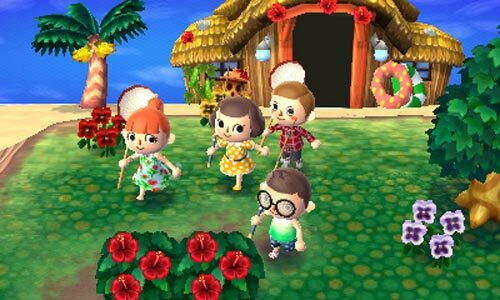 Seria impossível cobrir todas as novidades de Animal Crossing: New Leaf em relação aos seus antecessores. Mantendo a tradição, cada nova entrada na série ganha imensas novidades em relação ao anterior sem perder praticamente nada e este não é excepção. Em New Leaf tudo parece diferente, mesmo para quem tenha explorado Let's go the City a fundo – e para melhor. Così facendo, voi potrete dire di aver visto un paesino peggiore del vostro e io guadagnerò stelline extra. Per costruire. Per comprare. Per fare il bello e il brutto tempo a casa mia. Perché ci sono cose importanti nella vita. Subito dopo, però, c’è Animal Crossing. Animal Crossing: New Leaf is een game die op een simpele opzet gebouwd is. Je komt in een dorpje en wordt daar burgemeester en verder kijk je maar wat je doet. Er zijn weinig tot geen verplichtingen in de game, maar je moet stiekem wel hard werken om aan je geld te komen. De dingen die je hiervoor moet doen zijn aan jou en dat is juist het leuke aan de game.